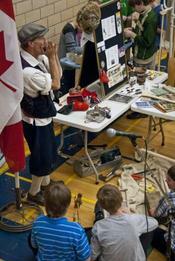 The Heritage Fairs program encourages students to explore Canadian heritage in a hands-on learning environment. Students use the medium of their choice to tell stories about Canadian heroes, legends, milestones, and achievements- and present the results of their research at the school, regional, provincial and national levels. 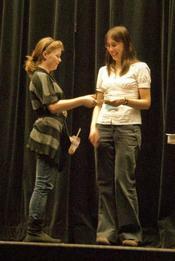 Since its beginning in 1993, the Fairs program has grown to include more than 200,000 students across Canada each year.